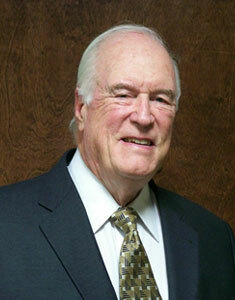 Gene, Sales Associate at The Blau & Berg Company, is responsible for selling and leasing client properties. He has been with the company since 2011. Since most of his experience has been working in the chemical industry in controllership and real estate, he utilizes that experience in his position as sales consultant. Accordingly, selling or leasing small to midsize buildings that housed an industrial process are opportunities in which he can be most efficient. While in the industry, he sold or leased industrial realty amounting to over $200,000,000. Much of this property was adversely affected by environmental conditions, which took time to clean and remediate prior to sale. In the effort to sell certain buildings and the land attached thereto, he spent much time in plant shutdowns and demolition of certain facilities that enhanced the eventual sale of the property. While in the corporate industry, he represented the Pacific Institute in facilitating The Investment in Excellence program for management and employees. St Peter’s Preparatory School – graduated in science program and in 2008 received the Legends award for service to alma mater. St Peter’s University – Graduated top third of business school. Lettered in baseball. US Army – 1st Lieutenant in charge of training and operations at the Ft Sill Oklahoma Training Center for Non Commissioned Officers. Completed Board of Trustees service to Passaic County 200 Club. Maintained membership. Graduated from FBI Civilian Academy and have maintained membership. Active in Church of the Presentation, Upper Saddle River NJ. Married 45 years with three daughters and two granddaughters.